Over the past 1-1/2 years - over 900 volunteers (mainly from the U.S. and Canada and a few other countries) have visited/helped MANY people throughout Costa Rica!! They have done such things as made and delivered over 800 Bunk Beds to MANY disadvantaged people, helping at kids summer camp (including camp for special needs kids), outings in the park for the children at the Education Center, worked on reading and other academic projects with the children, created beautiful/FUN murals in La Carpio and rural schools around Costa Rica, helped with food, clothing, medicine and vitamin distribution, helped create art projects with children, structurally upgraded 3 houses, built an office and storage area in the Montessori school, painted walls and LOTS of other projects!!! Gail says THANKS to EVERYONE for every thing you've done!!! CRHF has a NEW Co-Operative with 8 more women!! They sold about 100 purses in August along with many other products they make and are becoming more and more self sufficient as well as setting examples in the community!!! FOR THE KITCHEN: Plates, Flatware, Pots and Pans (doesn’t have to match) for their new quinta - bringing education, nature and a retreat center to the people of La Carpio. RECIPES of cheap, easy, yet HEALTHY FOODS (including some vegetarian options) - IDEALLY in Spanish but in English is ok also. HOW TO MAKE NATURAL CLEANING PRODUCTS (Google them on the internet)???!!!! This way it's healthier (especially when you have kids playing on the floor) AND cheaper AND BETTER for the environment!! Basic Cleaning Supplies (both in bulk as well as family size): Liquid floor cleaner/disinfectants (NOT the nasty smelling stuff), toilet cleaners, laundry detergent, liquid or bar soap, dishwashing paste, cleaning cloths (like for mops) and sponges. The products (even used) or cash donation to go towards that would be appreciated. Teaching the ladies how to MAKE their OWN products could be an AWESOME project you can do!!!! After you have made a donation, PLEASE email her to let her know (for her records). Unfortunately at this time she is not set up to receive international donations but it is in the works. 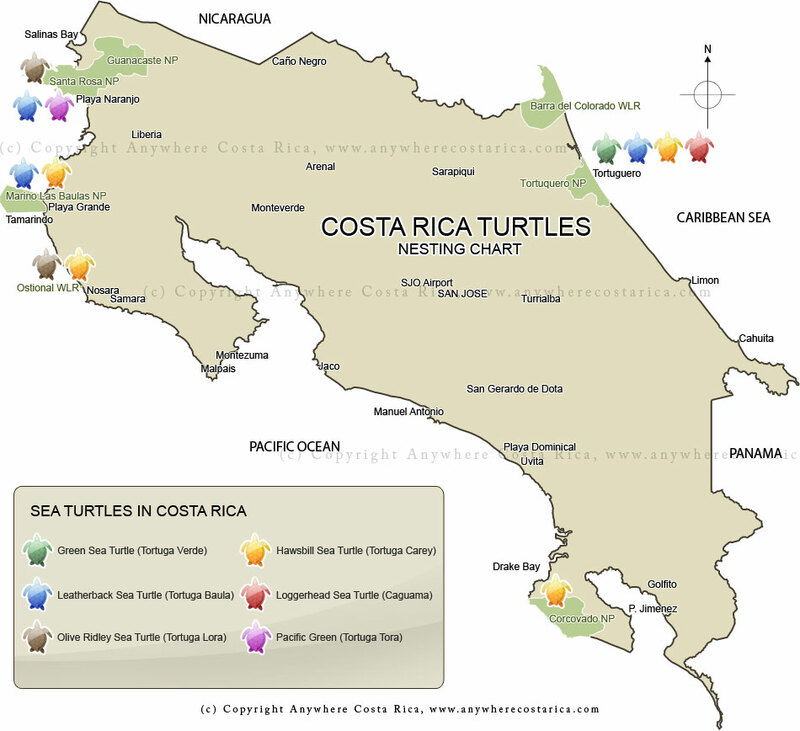 Gail says "Thanks for your support"
TURTLE BREEDING SEASON varies by region around Costa Rica but overall the most turtles can be found around Costa Rica around the beginning of JULY to the end of OCTOBERish. Female sea turtles have an inherent nesting instinct that drives them back to their natal beach to lay eggs. They typically return every 2 or 3 years and may nest several times in one season. Females lay anywhere between 80-120 eggs per nest, and the eggs incubate for roughly 60 days yet I’ve seen only 1 in about 5,000 Sea Turtles will become adults. 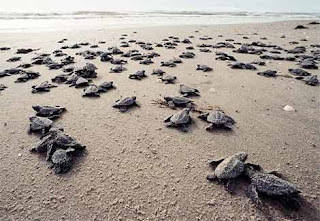 Hence mothers don’t usually see their babies ever again (I’ve heard that sometimes you can see tears coming from the momma turtles eyes as they’re returning to the sea). 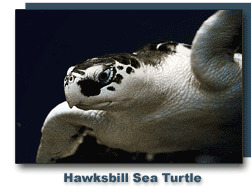 Hours for the Turtle Tours depends on the high tide - varying anywhere from 5:30pm to 2am or LATER!! 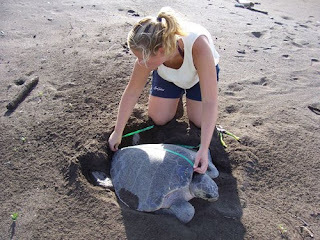 It can also be an arduous experience waiting for them - especially the Leatherbacks as they can often take up to 2 hours to come ashore but MANY people consider it a VERY MOVING experience!! Arrange tours ONLY through a CERTIFIED LICENSED guide or park ranger (or through your hotel). IMPORTANT NOTE: cameras, flashlights, video or flash photography are STRICTLY PROHIBITED on night turtle tours as turtles are extremely sensitive to ambient light and noise which could cause them to return to the sea early, and rangers and biologists want to keep our impact to a minimum. 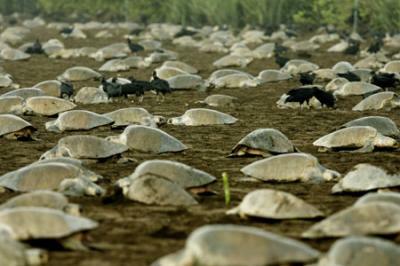 Tortuguero National Park (http://CostaRica-NationalParks.com/tortugueronationalpark.html) is home to 4 species of sea turtles. 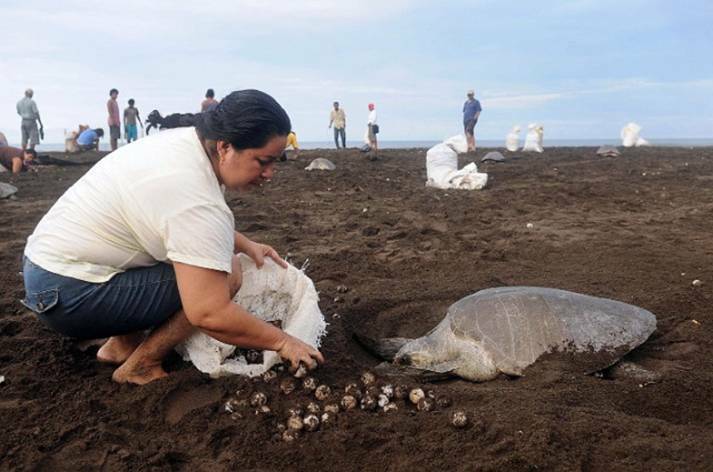 Tortuguero is the largest nesting site for the: Leatherback (their highest nesting period is from around March to May), Green Sea Turtle, Loggerhead Turtles (appear in smaller numbers around the same time) and Hawksbill's (nesting season runs from March to October). COTERC (http://coterc.org / Volunteer - http://coterc.org//?page_id=25#axzz0xfUX9asD ) just north of Tortuguero. A biologist runs the remote jungle station, accessible mostly by canoe - the station is staffed by volunteers who generally pay for the privilege of living in very rustic conditions, eating beans and rice and spending long hours working on turtle conservation throughout the night!! The Gandoca-Manzanillo Wildlife Refuge (http://CostaRica-NationalParks.com/gandocamanzanillowildliferefuge.html) just south of Puerto Viejo hosts 4 species of marine turtle – the LoggerHead, Green, Hawksbill - are protected along the shores of Playa Negra in the village of Cahuita (the Hawksbill is one of the smaller marine turtles and has a beautiful, serrated shell) and the LARGEST SELECTION of LeatherBacks. 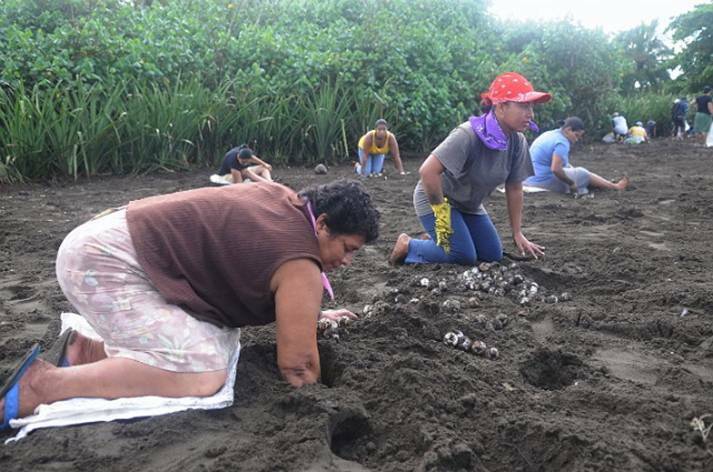 The conservation organization ANAI has been researching turtle nesting habits and protecting Leatherbacks for more than 20 years. Playa Grande - Las Baulas National Marine Park ( http://CostaRica-NationalParks.com/lasbaulasnationalmarinepark.html ) encompasses the beach of Playa Grande, an important nesting site for the endangered Leatherback Turtles. Nesting season runs from October through March. 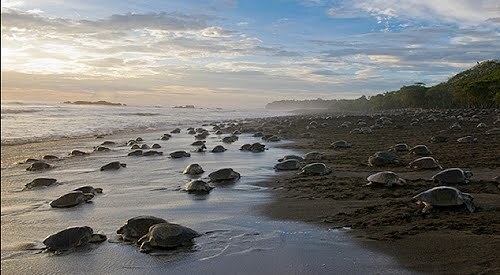 Ostional National Wildlife Refuge ( http://CostaRica-NationalParks.com/ostionalwildliferefuge.html ) - Olive Ridley Sea Turtles are known for their huge arribadas/egg-laying episodes, where tens of thousands of turtles come ashore to lay their eggs. Turtles are spotted here just about any night during the wet season (May-November) but the peak months are August to September/October (though often just a few days each month). 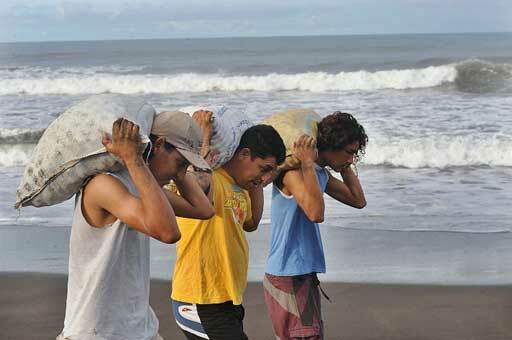 Santa Rosa National Park, the oldest in the region, is home to 2 of these beaches. Naranjo is difficult to get to because of poor road conditions (the 7-mile dirt road is normally ONLY passable with a 4-wheel drive in dry season). 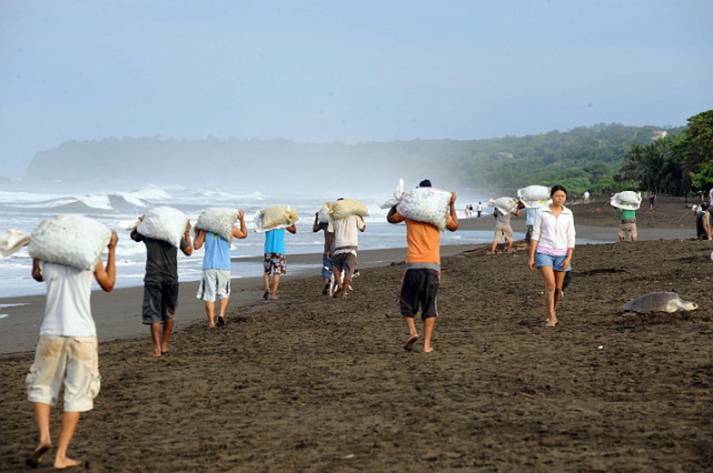 Nancite Beach is restricted because of turtle nesting research programs, and advance permission is required to visit this beach, which involves a difficult hike from Playa Naranjo. Ballena National Marine Park ( http://CostaRica-NationalParks.com/ballenanationalmarinepark.html ) beaches are a nesting site for both the Hawksbill and Olive Ridley Turtles. 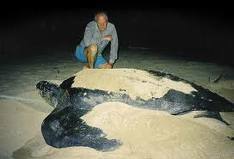 Both species nest on the beach and can be observed on night turtle tours. The Black Sea Turtle can be observed nesting along the shores of the Osa Peninsula. 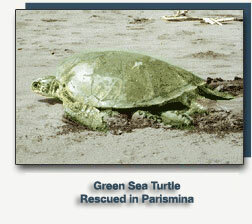 This sea turtle is slightly smaller than the Green Sea Turtle and nests sporadically along the coast. 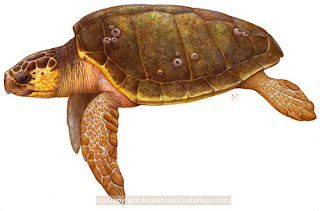 There is still much debate in the scientific community if the black sea turtle is a sub-species of the Green Sea Turtle, or its own species. The Osa Sea Turtle Conservation Program (http://OsaConservation.org/Volunteer.html) runs turtle preservation projects in Drake Bay. THESE PRECIOUS SPECIES OR THEIR EGGS!! It is HIGHLY ILLEGAL (except in a few "controlled" areas. And please don’t be stupid and eat the eggs if you find them at a bar. 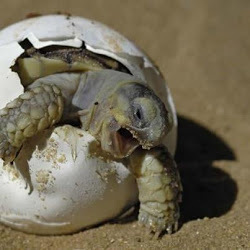 If ya have a problem getting it up, work on it or get Viagra [turtle eggs are considered an aphrodesiac]). (this is by NO MEANS any "official" site or even slightly knowledgeable. I'm just combining info I've gathered from various resources [which I'll add later]. I'm just sharin' some basic info to help a friend figure out the scene and I make NO profit from ANY of this!!). If you're seeking Transportation, Places to Stay, Doctors/Dentists - I can connect you with some of the BEST people I've found!! Skype - VallartaVicki - and I'll Connect you!!! Have you found this post helpful? Has it give you some EASE? Saved you some $$?? to help keep this site up and me driven to give you some of the MOST DETAILED information out there!! ANY size of "Gift"/show of appreciation is GREATLY welcome!! 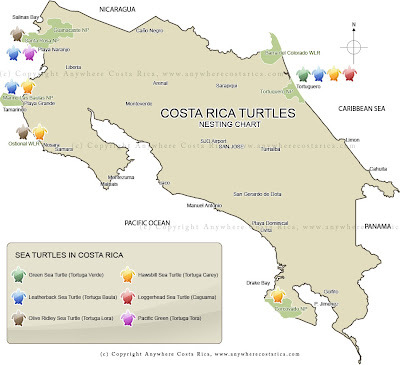 PLEASE "SHARE" this link with EVERYONE you know that is interested in the turtles in Costa Rica! Incorpore la Energía Vibracional de los Aceites Esenciales en los Chakras, Meridianos y Órganos. Cuando el cuerpo está alineado empieza a ponerse en balance. El alineamiento desde las cervicales hasta la espina dorsal, permite los impulsos nerviosos fluir desde el cerebro hasta todas las partes del cuerpo. También hay un alineamiento externo que se crea desde el sistema de chakras, que son una serie de vórtices energéticos, si estos no giran correctamente o están bloqueados la energía que entra al cuerpo puede estar distorsionado o puede que no entre correctamente causando desbalances. Los meridianos acarrean energía a músculos, glándulas y órganos, si estos están bloqueados también pueden crear dolor y estado de no salud. La Técnica de Balance Aromático nos conecta con la Fuente y nos alinea en luz, salud y poder. Utilizar y oler aceites esenciales de grado terapéutico, nos ayuda a levantar nuestro nivel vibracional de amor y gratitud. Reconoce tu poder creador, tenemos las herramientas internas para manifestar lo que deseamos en la vida. Creamos con cada pensamiento o palabra que decimos. Creamos por default o con intención. Si creamos por default es porque no prestamos atención a lo que decimos o pensamos, y lo que enviamos se nos regresa. Debemos ser más conscientes de lo que pedimos y como lo pedimos. Pensamientos y emociones juntas manifiestan y crean. La emoción es la energía en movimiento que conlleva la vibración de los pensamientos. Nuestros cuerpos emiten estas frecuencias o vibraciones. Las palabras son más poderosas que los pensamientos, porque es el pensamiento manifestado. Yo soy significa que existe. Por lo tanto, si me expreso “Yo soy feo” eso es, y eso representas. Hacer afirmaciones positivas son poderosas estrategias para la sanación. Proponerse es tener la voluntad de que pase. Tenemos que tener claro que queremos para que se realice y hacer un decreto de cómo queremos que este nuestro cuerpo. Cambia la vibración de tu cuerpo interno! Con una adecuada desintoxicación de los órganos internos y con suficiente oxigenación, mas la vibración de los aceites esenciales y sus componentes activos que transforman nuestra vibración a una más elevada. EVENT - Aug. 21 - Curso REIKI PARA NIÑOS - Energía y diversión! Melvin is AWESOME, speaks quite good English (best when you're face-to-face and you aren't rambling like I tend to do!! ), is VERY FAIR with his prices AND - he GUARANTEES HIS WORK for up to 6 MONTHS (how many others do that [and honor it!!!])!!!! COMMENTS: Melvin was VERY resourceful in helping me "Tico-ize" things with my "fiscally challenged" times (ie; get me a temporary fix on some OLD appliances - to get it working - for NOW). One funny one was on this OLD purple fridge I had where the seal wasn’t sealing properly around the door so he put VASELINE around it and it SERIOUSLY worked as long as I had it for over a year!!!). He's also done a REALLY GOOD job when I DID have $$ to fix things properly. ALL of the people I know that have used him have RAVED also!! ENGLISH: I found him to speak quite good English (though he doesn't admit to it)! LOCATION: Escazu - but he’ll come on his motorcycle to you all over (though if you're further out, there will probably be some sort of nominal fee for the extra time/gas). COMMENTS: He did a GREAT job taking care of quite a few things and at a decent price (Vicki/me). ENGLISH: Marvin speaks some English (I did ok with him with my VicLish [a funny/totally non-perfect version of Spanglish]). LOCATION: Guadalupe but he comes to you all over. There's a place in San Jose that does more challenging repairs & I believe has parts also though I don't have the name - just a phone number - no English-speaking person. 2-257-1613.
Who Melvin recommends when he's too busy. Ron said he’s a GE Service Technician and might be able to provide a source or repair your washer. COMMENTS: For a moderate fee they will pick up and deliver within the Central Valley. NOTE: It’s REAL IMPORTANT to get prices (or at least estimates) UP FRONT - ideally IN WRITING (I find an email is best & safest) especially for something like getting a dishwasher hooked up!!! Sometimes something like that may cost more than it’s worth in the long run. HINT: Did you know that your clothes dryer should be cleaned out every so often??? WOW!! I’ve had mine for over 4 years and it was used. I was shocked at the build up. WOW how much better it works now!!! NEED AN APPLIANCE REPAIR PERSON? with your experience/comments so I can add them to their description! Go to the top Right corner of the blog for details!